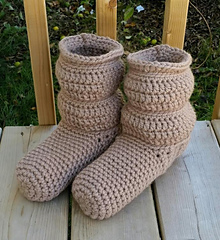 Comfy Slouchy Slipper Boots. 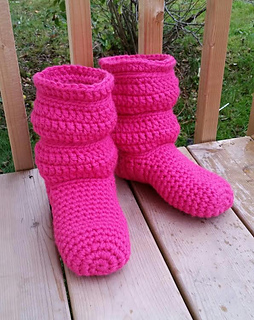 Crochet a pair of these slipper boots in a hurry. 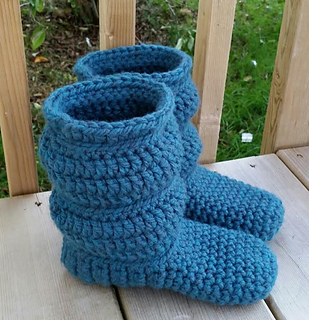 The pattern is easy, fast and fun worked up in a super chunky yarn. They are super warm. Please feel free to sell your finished slipper boots anywhere. I would really appreciate credit given to me as the designer. Thank you.